Posted February 27, 2014 by Declan Tierney, Connacht Tribune in News. The many events that take place at Claregalway Castle which have become hugely popular over the years, now requires planning permission from Galway County Council, it has been ruled. 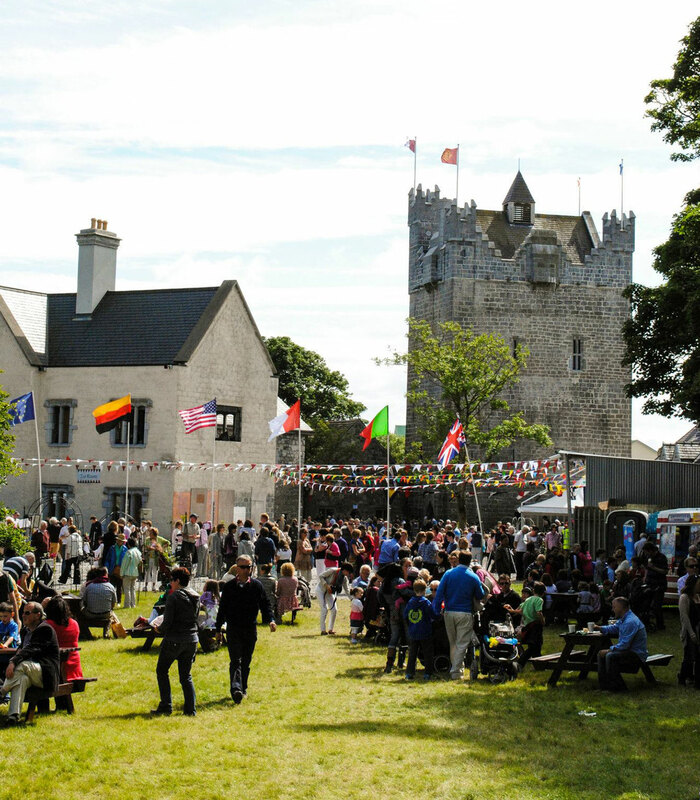 Claregalway Castle, which is owned by Dr Eamonn O’Donoghue, is the venue for the annual garden festival while it also plays host to food, craft and educational events. 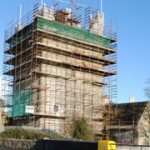 At the moment the castle is being restored to its former glory although this restoration process has been taking a considerable amount of time due to the detail that has to be adhered to as it is a protected structure. But the owner of the castle has now been told that in order to host activities and events at this location, planning permission is required. 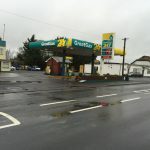 An Bord Pleanála has concluded that the staging of certain activities and events constitutes development on the grounds that a change of use has occurred. This means that planning permission is required to host such events. 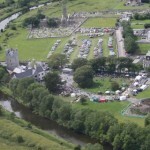 Claregalway Castle plays host to events such as the Galway Architectural Festival, a number of food fairs, the Clare River boat race, an annual family fun day, summer music festivals as well as some international conferences. The site accommodates a 15th century town house which has been refurbished for residential use. The refurbishment is on-going and has been the subject of various applications for planning permission. It is not lived in presently. There are various outbuildings which form part of the overall complex in a south western corner of the site adjacent to the bridge which traverses the Claregalway River. The other out-buildings are in various states of repair and are more recent in date than the tower house. These buildings are used for storing material, a room within one of the buildings is used as a lecture hall and as a stone mason’s workshop. The An Bord Pleanála inspector was informed during his site inspection that stone which is worked and carved on site is exclusively used for the restoration of buildings within the grounds. Another building which has been restored to the immediate north of the Tower House accommodates a kitchen facility with bedrooms overhead. The Tower House is both a protected structure and a recorded monument. Engineers on behalf of Dr O’Donoghue insisted that the activities on the grounds of Claregalway Castle did not constitute development as they did not involve works or it would not constitute the change of use of the grounds. “This broad approach ignores the generally accepted principle that an event or an activity does not come within the definition of development and therefore does not involve works or a material change of use”, it was stated in the appeal to An Bord Pleanála. However, the appeal failed and now planning permission has to be sought when events are held at Claregalway Castle. Read about the history of Claregalway Castle here.